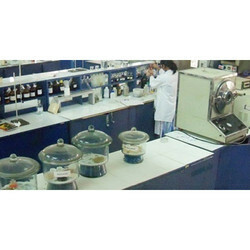 Sigma is an advanced NABL accredited chemical testing laboratory with capabilities including advanced trace chemical analysis, diverse analytical capabilities and identification of chemicals composition, MSDS, unknown materials and chemical contamination, in accordance with IS, ASTM, DIN, EN and other recognized industry standards. Ensure your products meet the relevant regulations and protect customers from potential harm with chemical testing and analysis services from SIGMA TEST & RESEARCH CENTRE (STRC). Sigma is a ISO 9001:2008 accredited laboratory providing cost-effective solutions for corrosion testing and consultancy for automobile parts, paints and coatings , aircraft , structural steel beams, pipes, tanks, tubes and more, using Salt spray method- ASTM B117. Sigma is NABL accredited metal testing laboratory ascertaining the safety and reliability of metals by Chemical composition analysis, Corrosion resistance analysis, Dimension measurements, Mechanical properties testing, Metallurgic examination and more. 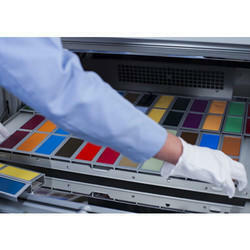 With precise knowledge of the relevant field, our organization is offering a wide range of Paint Testing Lab. These services are rendered as per industry norms. Together with this, the offered services are rendered at very reasonable rates and offer an optimum paint testing lab work to our precious clients as per their needs. We are offering a large collection of Chemical Trace Analysis Lab. Our highly skilled professionals offer the trace analysis lab work as per the client demand and on well-defined parameters. Addition to this, our services are reliable and flexible, close coordination with clients, quick service, and as per the modern industry norms. 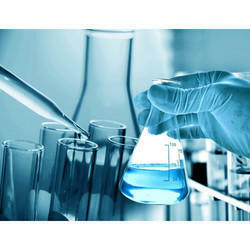 With the high support of professionals, we are providing MSDS Testing Services to our customers. These testing services are rendered with the following industry standards. Together with this, offered services are executed by experienced persons. 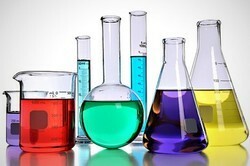 Due to deep knowledge of the industry, we are offering a large range of Petro Chemical Testing Lab to our customers. 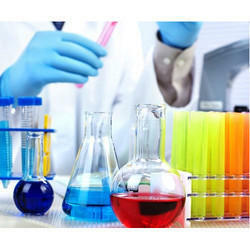 Offered array of testing lab services is rendered as per quality norms. In addition to this, to meet the accurate result for the client, we also customize this service as per their necessities. Sigma is NABL certified, ISO / IEC 17025:2005 accredited laboratory delivering advanced solutions for assessing the consistency and suitability of Bitumen through various IS compliant test methods like Flash point, specific gravity, water content, paraffin wax, ductility test, Bitumen emulsion and more. This test helps in determining the bitumen content. 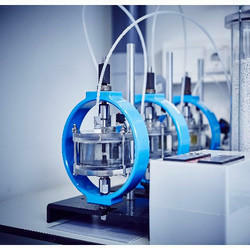 The apparatus needed to determine bitumen content are - Centrifuge extractor and Miscellaneous – bowl, filter paper, balance and commercial benzene. This test helps in determining the consistency of bituminous material & to assess the suitability of bitumen for use under different climatic conditions and various types of construction. This test helps in determining the flash point and the fire point of asphaltic bitumen and fluxed native asphalt, cutback bitumen and blown type bitumen. The fire point is the lowest temperature at which the application of test flame causes the material to ignite and burn at least for 5 seconds under specified conditions of the test. This test helps in determining the specific gravity of semi-solid bitumen road tars, creosote and anthracene oil. The principle is that it is the ratio of mass of a given volume of bitumen to the mass of an equal volume of water, both taken at a recorded/specified temperature. 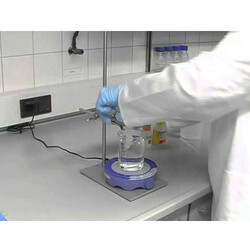 This test mainly used for food and other commodities (such as wax paper, crayons, candles, carbon paper) components and packaging materials, baking container coating materials, cosmetic raw materials, used in fruit preservation, and improve the rubber anti - aging and increased flexibility, electrical components, insulation, precision casting, etc., also can be used for synthesis of fatty acid oxidation. Crude paraffin oil content of more due mainly used in the manufacture of matches, etc. Adding polyolefin wax additive, its melting point is increased, adhesion and flexibility increase, widely used in moisture-proof, waterproof wrapping paper, cardboard, certain textiles, surface coating and candles production. This test helps in determining the effects of heat & air during conventional hot-mixing on a thin film of semi-solid bitumen. The determination of the loss in mass is used to determine the volatility upon heating. This test helps in determining the water in petroleum products, tars, and other bituminous materials by the distillation method. This test helps in determining the ductility of distillation residue of cutback bitumen, blown type bitumen and other bituminous products. 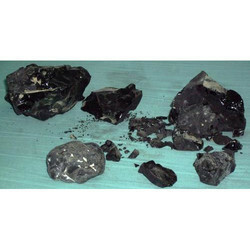 The principle is: The ductility of a bituminous material is measured by the distance in cm to which it will elongate before breaking when a standard briquette specimen of the material is pulled apart at a specified speed and a specified temperature. 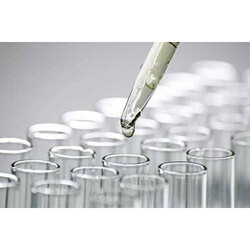 We are rendering a wide array of Chemical Resistance Testing Lab to our prestigious clients. We have hired a group of professionals to execute the testing lab services as per the client's requirements. In addition to this, one can avail this testing lab service within a limited period of time.